Goodgear supply printed year 6 shirts to primary schools local to the Central Coast, Newcastle and Sydney areas. 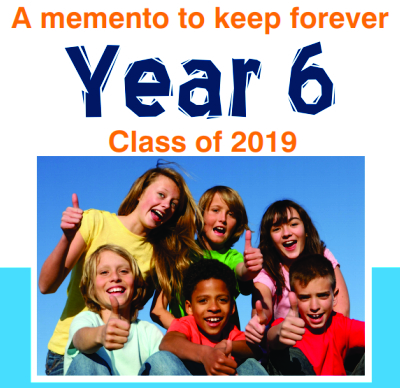 We have a range of designs that you can choose from to be printed onto your year 6 shirts. Most schools order a polo shirt for their schools year 6 leavers shirts. We have a range of polos available in many colours to suit your school colours. If your school would like something different this year, we now supply custom made sublimated shirts for year 6 students. Printed year 6 shirts are worn with pride by our local schools. An embroidered and printed year six garment is a nice memento for students to keep for many years. Ordering year 6 shirts has never been easier. We have been supplying schools with school uniforms and teacher uniforms for decades, and have a simple order process with a fast turnaround time. Our year 6 printed polo shirts are cheap and easy to order, great quality, and can be delivered Australia wide! Goodgear supply branded promotional products and branded uniforms to schools, business, sportclubs, you name it! We have an inhouse embroidery and printing service in our factory at West Gosford, Central Coast. We also have a retail store in East Gosford called Workwear Express. We also supply uniforms and branded merchandise produced offshore at low prices! Contact us today for more information on branded uniforms and promo products.